After tax reform, is infrastructure next? President Donald Trump's campaign promise to update the nation's infrastructure has fallen by the wayside as Congress has attempted to repeal and replace the President Barack Obama's Affordable Care Act and pass tax reform. But now that tax reform looks likely to become law before the end of the year, Mike Toohey, president and CEO of the Waterways Council is asking if infrastructure is finally on the agenda, and whether an infrastructure package would include ways to speed up the modernization of the locks and dams on the nation's rivers that are vital to shipping agricultural products and other goods. On Nov. 1, Toohey was among the lobbyists the White House invited to a rural infrastructure event with Agriculture Secretary Sonny Perdue and White House officials in the auditorium of the Eisenhower Executive Office Building. Reporters were invited to hear Perdue, but then told to leave. 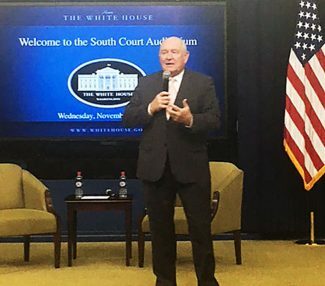 Perdue spoke mostly about the importance of high speed Internet service and data connectivity, calling it "the interstate of the 21st century." But Perdue also noted an advantage the United States has over Brazil is its "wonderful waterways and roads," and Trump has talked about the locks and dams being 50 years old. When he was governor of Georgia, Perdue noted, he stressed the fact Atlanta "needed the productivity of the countryside" in order to thrive. The United States still has the largest economy in the world "but we have challenges," he concluded. Toohey said that in the presentations and discussions after reporters left, administration officials said infrastructure was off the table until after the tax reform bill is passed, but that it would be next on the agenda after tax reform. But the officials did not give any indication of how locks and dams modernization might be fit into an infrastructure agenda, Toohey said. "Infrastructure is a 14-letter word that means all things to all people," Toohey said in an interview. "I assume they will define what is eligible." The U.S. Army Corps of Engineers is in charge of the nation's locks and dams, which were built mostly in the early and mid 20th century and are in need of repair, in some cases desperately. Just this fall there have been miles of vessels lined up on the Ohio River when locks became inoperable. The Waterways Council Inc. has been pushing Congress for years for a program of modernization, and in 2014 succeeded in getting a new capital development plan passed. It included an increase in user fees and a change in the relationship of taxpayer money and user fees to finance modernization. That plan allowed some projects to move forward, but it will take up to 25 years to complete. In the meantime, some locks have occasionally become inoperable, leaving ships waiting in line to reach the nation's ports. Toohey said the administration could help improve infrastructure in two ways: with deregulation that would speed up the construction schedule, and with additional financing. It used to be possible to authorize and complete a project in four years, but now it takes 35 years, Toohey said, saying environmentalists, some of whom question whether the locks and dams should ever have been built, are partly to blame but so is the fact numerous federal agencies have to undertake reviews and funding delays in Congress. "The president's initiative is of great interest to us," Toohey said. "If we could build within 10 years that would be tremendous boost, especially for the farm economy." The Waterways Council has talked with the administration about the backlog of locks that need repair, with an eye toward getting additional funding during the 10-year program the administration seems to be planning. 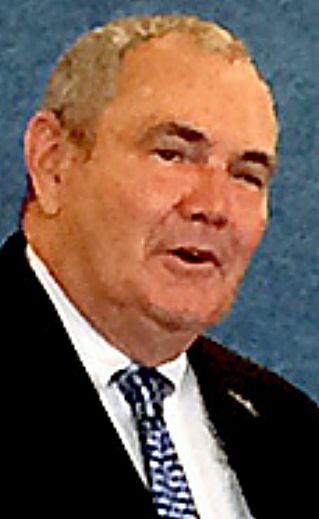 Toohey said administration officials are planning to send Congress a paper that will be a statement of principles rather than a legislative program. White House officials said the paper will lay out "a three-point plan that they are building their principals around," he added. 3. Providing money for "transformational infrastructure projects that already have some public or private money behind them." But Toohey said it is hard for him to figure out how infrastructure projects would fit into any of those funding mechanisms. "We are in a holding pattern until we see what the president proposes and the Congress disposes," Toohey said. "We will have to work with Congress to see if we can achieve our objective for inland waterway transporation." But he noted that there are "authorized projects ready to go to construction."